"Slice of Family". Dexter invites Deb and Dr. Vogel along for his post-kill ritual aboard the Slice of Life. 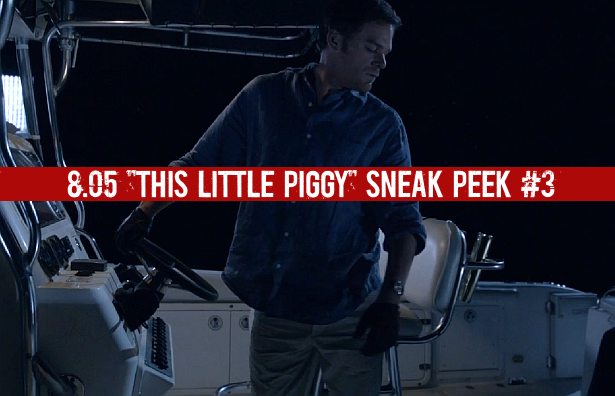 Watch after the jump the third sneak peek clip from the latest episode of Dexter, 8.05 "This Little Piggy". It's a part from the awesome final scene of the episode.